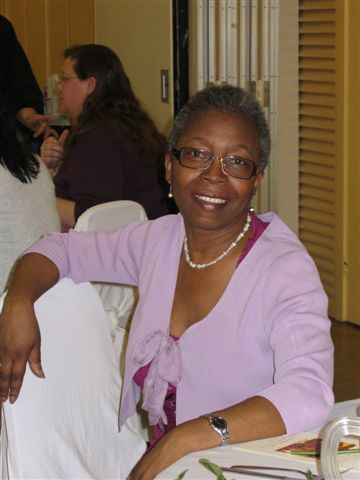 Phyllis was a Local 27 sister, business representative/organizer, a journeyperson carpenter, a leader, mentor and friend to all who knew her. On November 11, 1994, at the age of 44, Phyllis, a mother and a grandmother, was initiated as an apprentice with Carpenters Local 27. She worked as a construction carpenter mainly in formwork and graduated as a journeyperson carpenter in 2000. Phyllis was then hired by Local 27 as a business representative/organizer. Phyllis had a deep understanding of what it meant to meet the members where they worked. 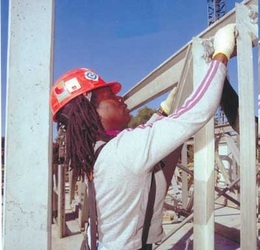 Her face was familiar to all members in the building trades and the local union movement as she was often seen on job sites, at work actions, volunteering on community projects and participating in union meetings and events. A union activist to the end Phyllis believed wholeheartedly in the benefits of working and living union, and strived to educate her union brothers and sisters about the strength of solidarity and the benefits of organizing. Phyllis took great pride in being a carpenter with Local 27 and the United Brotherhood of Carpenters and Joiners of America, but she took even more pride in being a sister in the construction trades. She was a friend and mentor to many sisters in the labour movement. She graced us with her friendship, her laughter, her skills and her knowledge. Her accomplishments were many and her path opened doors for other women who followed her into the trades. After attending the UBC’s Women’s Conference in 2005, Phyllis wanted to empower more women. She established the Sisters in the Trades committee whose mission statement is “to promote solidarity, increase awareness and facilitate growth and empowerment by providing an avenue for addressing issues and by developing innovative strategies to reach specific goals.” Phyllis embodied the full spirit of that mission statement. On Friday, May 9th, 2008 Phyllis passed away after a long battle with cancer. It was a great loss to the Carpenters’ Union and the labour movement as a whole. Phyllis left behind a tremendous legacy that will continue to have a lasting impact on the carpenters in Local 27, on the sisters in the construction trades, and on the union movement as a whole. For those of us who worked with Phyllis on the Sisters in the Trades committee, the loss to us on a personal level has been monumental. Never has someone been more dedicated to a cause yet she never wanted recognition for herself, only for her “sisters”.